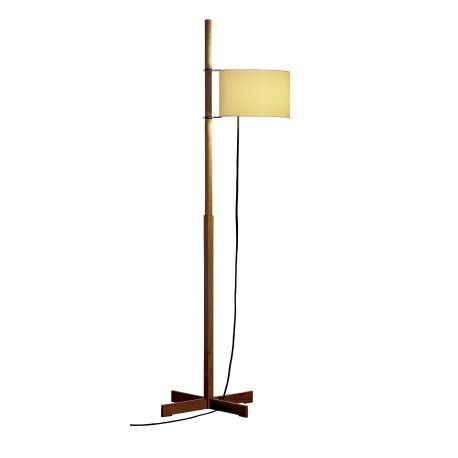 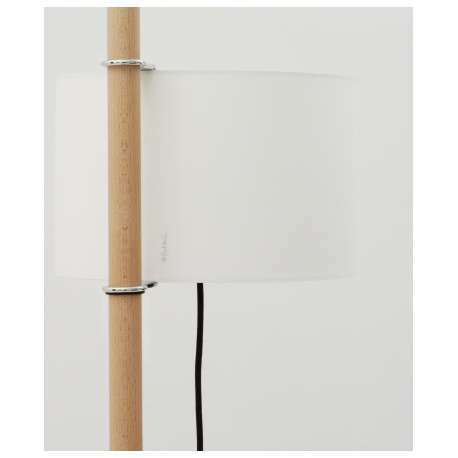 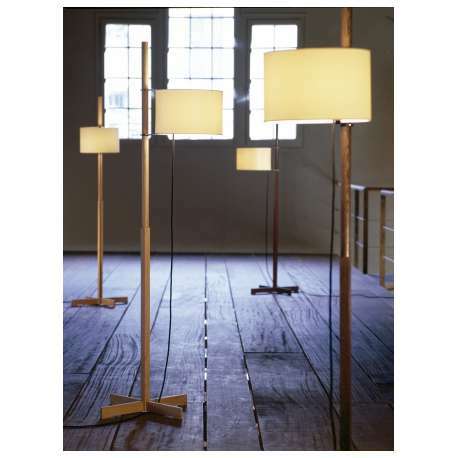 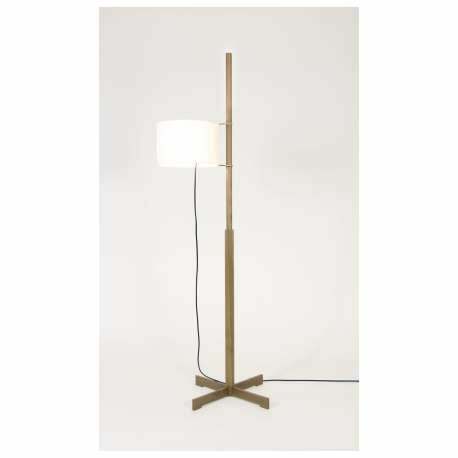 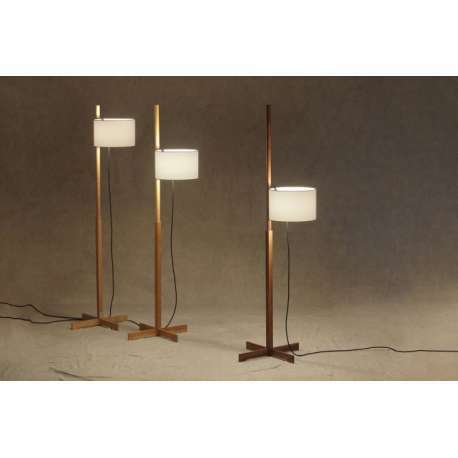 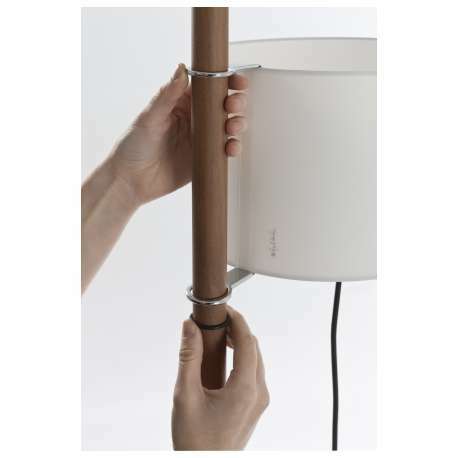 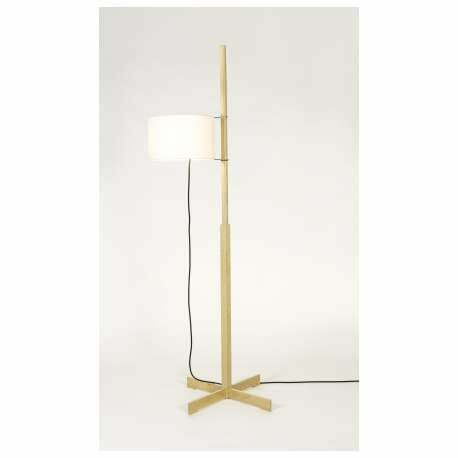 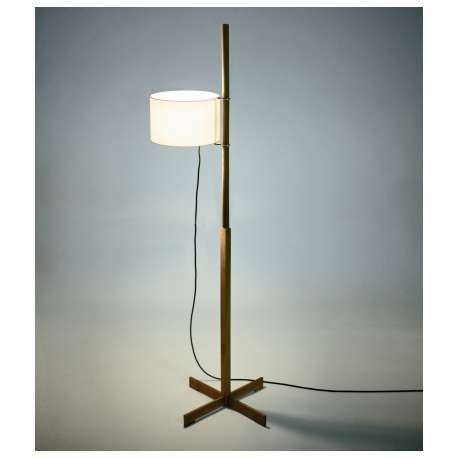 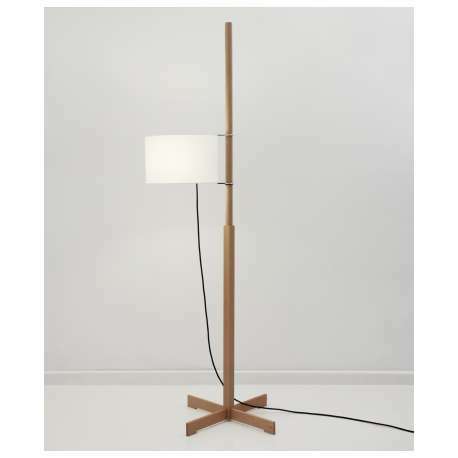 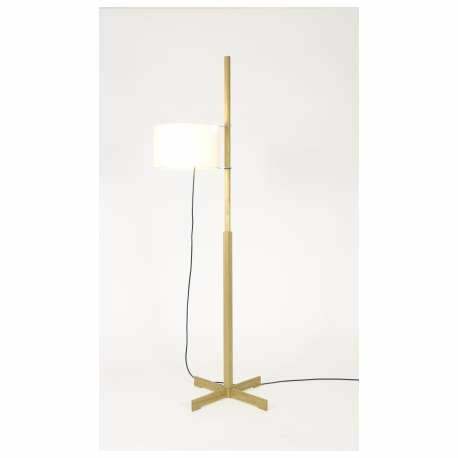 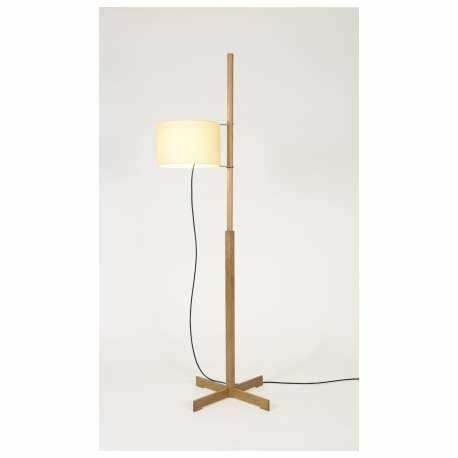 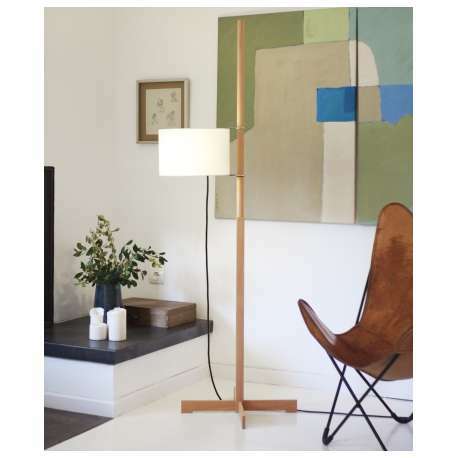 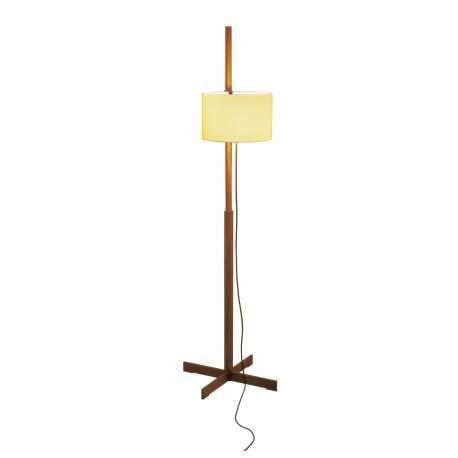 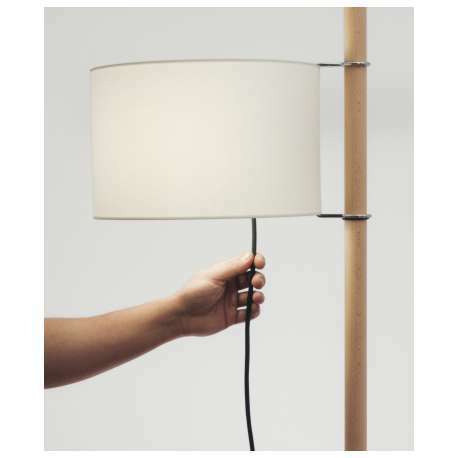 Buy Santa & Cole TMM Floor Lamp by Miguel Milá, 1961 - The biggest stock in Europe of Design furniture! 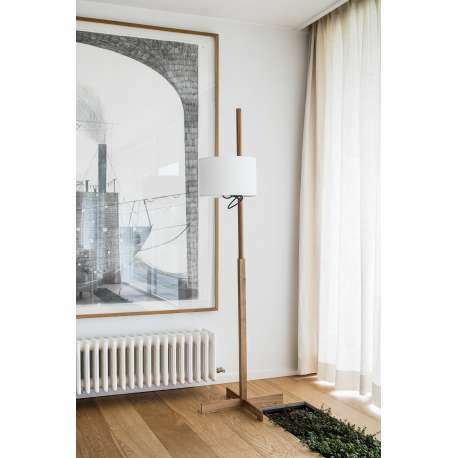 The TMM Floor Lamp is one of the most highly acclaimed pieces from Spain’s pioneering master of industrial design Miguel Milá. 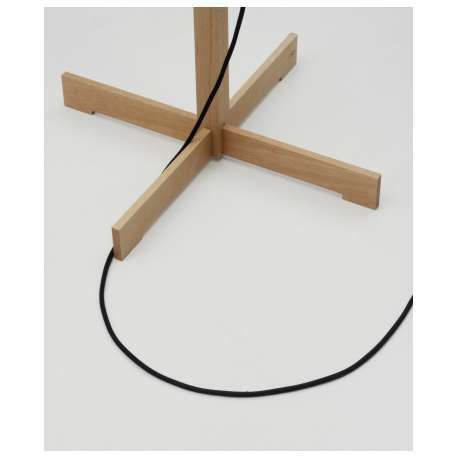 A cross-shaped base supports a square wooden shaft that becomes a circle in the middle. 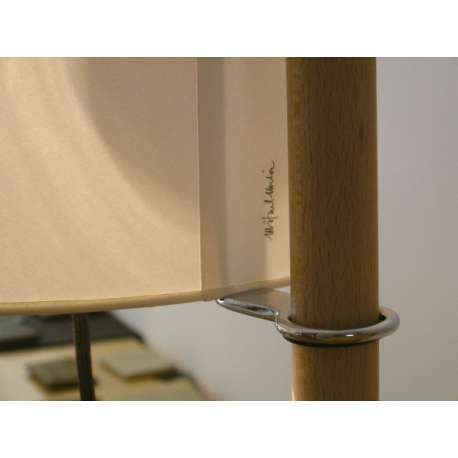 The shade can be moved up or down it, held at the required height by a simple rubber ring. 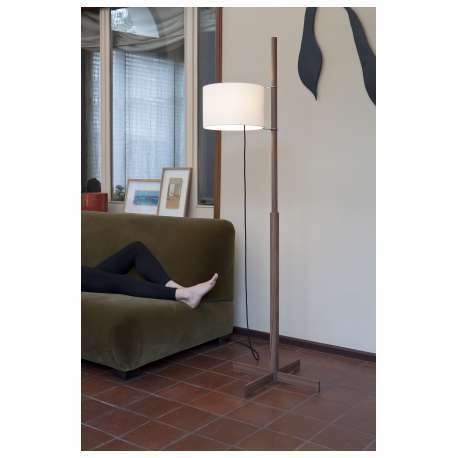 The Milá TMM Floor Lamp is a genuine lesson in intelligence and good taste making minimal use of components. 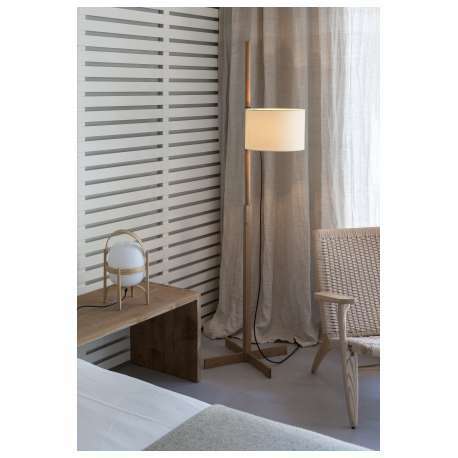 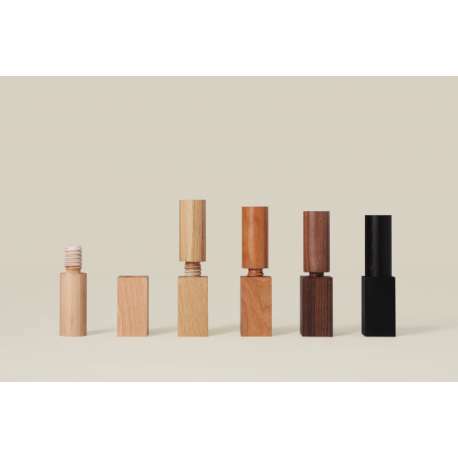 Available at Designcollectors with different wooden structures and a height-adjustable lampshade in white or beige parchment. 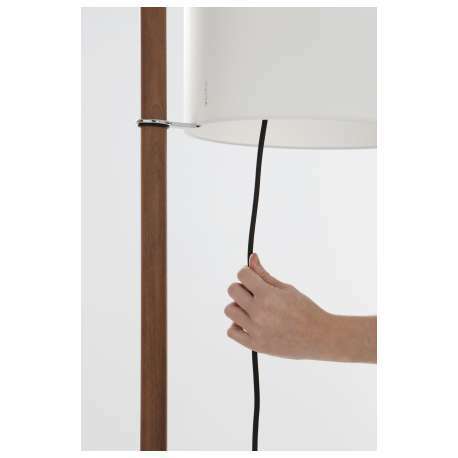 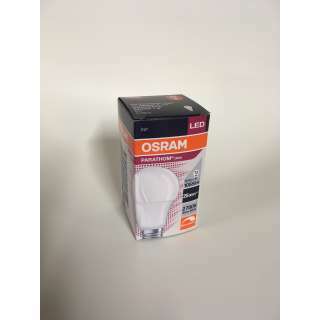 The light is switched on /off by pulling lightly on the cable.